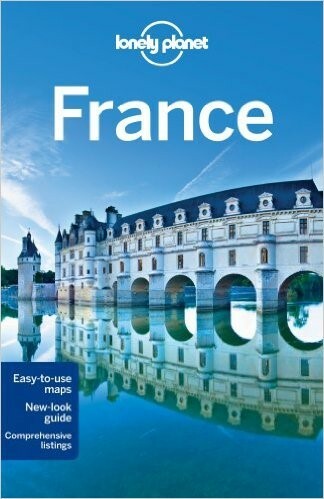 Compare to Scenic 8-day France River Cruise. Total for this 8-day river cruise is $5,000 to $6,000 person cruise-only. Add return flights from Australia, internal flights and pre/post accommodation and it comes to approx. $8,400 per person for just 8 days. In your opinion do you feel our package offers you exceptional value? This is a once-in-a-lifetime holiday combining a highlights guided tour of France, Switzerland and Italy with a wonderful river cruise through the south of France and a 3-night Paris experience. Break up the trip with a stop-over in Singapore. Soak up the romance of Paris with stylish accommodation in Saint Germain Des Pres. Tour Le Louvre, dine at the Eiffel Tower and be captivated by The Moulin Rouge show. 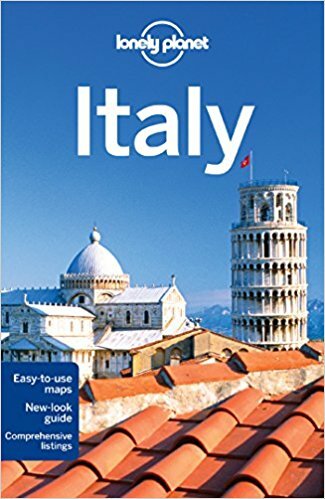 Tour through France to Lucerne, Switzerland and then through the top of Italy to Milan and Venice. Be taken in by the charm of Venice. Visit Florence, Pisa and Rome and Monaco. Travel from Paris to Lyon on the TGV high-speed train. Be spoilt on your 7-day Saone and Rhone river cruise through southern France visiting beautiful French towns along the way such as Avignon and Arles. Let the magic of France, Switzerland and Italy captivate you on this dream holiday. Want to see more of northern Italy? Add this 4-day Italian Lakes package after your cruise, before returning to Paris. Click/tap the player above to watch this short (5 minute) video about the French river cruise part of your holiday. This is just one of the highlights of your trip. The video includes scenery from the French cruise as well as other European cruises by the same company. This itinerary is fully customisable to suit your requirements. Add comprehensive, best-in-class, travel insurance for just $249 per person* valued at over $800 per couple. Enquire today to find out if your travel dates are available. Recommendation: Take the time to read suggestions for things to see and do before you leave Australia. Take your LP guides with you in your luggage. You’ll have at least one full day in Singapore. Refer to your Lonely Planet guide for things to do during your stay. Optional excursions include a morning walking tour and Singapore zoo amongst many others. Included: Central Singapore hotel accommodation for three nights. The extra night is to allow for early arrival or late departure. Fully refreshed from your stop-over in Singapore, the 13.5 hour flight to Paris will seem like a breeze. If your flight arrives on the morning of Day 4 we’ll ensure that you can immediately check in to your room and not have to wait until after 2pm. You’ll then have time to have a look around. Included: 4-star+ Central Paris hotel accommodation for one night pre-tour, then later you'll spend another 3 nights enjoying this great city. Venice has a magical, friendly feel that stays with you. You'll visit Venice on Day 6. We will depart for Switzerland in the morning, first passing through Basel - situated at the intersection of France, Germany and Switzerland - before arriving in Lucerne, where we will stay the night. After breakfast, we'll head south to the design and couture-conscious city of Milan. On our tour of the city you will see Galleria Vittorio Emanuele II, the oldest shopping arcade in the world; the legendary opera house La Scala; the storied Sforza Castle; and the ostentatious Gothic of Milan Cathedral. Accommodation for the evening will be in Venice or a neighboring city. The ancient city of Rome exudes history and has plenty of modern charm as well. After breakfast, we'll take you through this fascinating city of ornate palaces, lyrical waterways, captivating churches and impressive architecture. In San Marco Square you'll see the Basilica di San Marco, one of the best examples of Byzantine architecture, and the Bridge of Sighs connecting the old prison to the interrogation rooms in Doge's Palace. Afterwards, you'll get a chance to see some traditional Venetian craftwork at a demonstration by Murano glassblowers. An optional gondola ride on the Grand Canal will put the finishing touch on a glorious day in Venice. Accommodations in the evening will either be in Rome or a neighboring city. After breakfast, we'll head directly to St. Peter's Basilica in the Vatican, originally built by Constantine the Great in 324 AD, then reconstructed between 1506 and 1615 under the direction of several famous architects including Bramante, Raphael and Michelangelo. You may also join the optional Sistine Chapel tour to view Michelangelo's famous frescoes. Next, you'll see the famous Trevi Fountain, the lavish Baroque showpiece where people flock to throw coins into the water - an action which is said to ensure that you’ll return to the city again one day. After lunch, take a step even further back in time as you visit Italy’s unrivaled Roman relics. An optional guided tour of the Colosseum, built in AD 72, comes highly recommended. History comes to life as you imagine yourself witnessing gladiatorial combat inside the spectacular amphitheatre. You may also choose to walk at your leisure around the outside to admire the facade of this ancient wonder. After the Colosseum, get up close to the nearby Arch of Constantine, which dates back to the fourth century AD, then spend some further free time enjoying Rome, sampling the rich and creamy delights of gelato. After some free time you can either visit Basilique Santa Maria degli Angeli e dei Martiri (Basilica of St. Mary of the Angels and the Martyrs) near Piazza della Repubblica, or head directly to the nearby Mitsukoshi Department store for some serious shopping. Accommodation for the evening will be in Arezzo. Today you will be introduced to the sights and sounds of Florence, the birthplace of the Italian Renaissance. We'll head up to the Piazzale Michelangelo for a panoramic view of Florence, then to a local workshop to see how Florence's fine leather goods are made. Afterwards, we'll set out on foot to the Ponte Vecchio over the Arno River, the Duomo, Giotto's Bell Tower and the Uffizi, which houses one of the finest art collections in the world. At Pisa, our last stop of the day, you will be free to wander; be sure to have your camera ready when you enter the Square of Miracles and the iconic Leaning Tower of Pisa, Pisa Cathedral and Baptistery come into full view. We finish our evening by continuing to Genoa or a city nearby for an overnight stay. Nice, the heart of the French Riviera. Our walking tour will take us first to the Prince's Palace of Monaco, then on to the Courthouse, the Oceanographic Museum and Saint Nicholas Cathedral, the resting place of Grace Kelly. We'll then travel to the Fragonard Perfume Factory to learn about the perfume-making process. At the end of the guided tour you will be able to purchase one of the fragrances for yourself. Next, we'll visit Nice for a sampling of the scrumptious local cuisine. Take a well-earned rest today as you sit back and enjoy the rustic charm of the French countryside on our journey north to Paris. Drop-off time and place: approximately 7:00pm at Place d'Italie in Paris. Included: 3 nights’ 4-star+ accommodation, Eiffel Tower dinner for two, Seine River Cruise tickets for two, tickets for two to The Moulin Rouge show. Here’s your opportunity to really get to know Paris, the city of lights. Today is free time to look around. Your Lonely Planet guide is your best help to decide how you will spend your time. Rest in the afternoon because tonight you’ll be dining at the 58 Tour Eiffel restaurant at Eiffel Tower, followed by a river cruise and the most famous cabaret show in the world, Feerie at The Moulin Rouge. See if you can catch the eye of the mysterious Mona Lisa on this engaging tour that hits all the highlights of France's most famous museum. With a group of no more than 6 people and an art-loving expert to lead the way, scope out masterpieces like the Venus de Milo on this short and sweet tour of the Louvre's must-see works. With more than 35,000 pieces in its permanent collection, there's no shortage of art and history to discover at the Louvre. With a savvy and informative guide to lead the way and a small group to make sure you can move quickly between galleries, this concise tour is the perfect way to see the museum's can't-miss works and make sure you have plenty of time left to sightsee elsewhere during the day. Bypass the long lines outside the museum to make the most of your time and head straight inside, delving right into your journey through the history of art. Stand before Leonardo da Vinci's enigmatic Mona Lisa, ponder the mysteries of the Venus de Milo, and gaze up at the majestic Winged Victory of Samothrace as you traipse through the museum on a thoughtfully planned route. Manoeuvre swiftly between timeless compositions with your small group, and hear the true stories behind some of the world's best-known works before wrapping up your visit to keep exploring elsewhere. This afternoon is at leisure. We recommend visiting Musee D’Orsay, the world’s greatest museum of impressionist art. Today you’ll leave Paris and travel via the TGV high-speed train to Lyon on the south of France to start your French river cruise. It takes just 2.5 hours for this train to go from Paris to Lyon. The safety figures for the TGV system are exceptional; there have been no fatalities in high-speed operation since service started in 1981. Today TGV trains accumulate of the order of 50 billion passenger-kilometres per year on lignes à grande vitesse (high-speed lines) alone. 1.2 billion passengers have travelled on the TGV. You’ll arrive in Lyon early enough to be able to spend some time enjoying this lovely town. Included: Central Lyon hotel accommodation for one night. Visiting the Saone, Rhone Valley, the Camargue and Provence. Join one of Europe’s largest river cruise companies for a unique river cruise experience travelling from Lyon to the Mediterranean. Things that matter most: experienced and friendly staff and crew, clean and comfortable cabins and beds, reliable and safe ships, excellent food, incredible itineraries. Meet at 4:30pm in Lyon in front of the "Brasserie Georges" (Cours de Verdun, next to the station Perrache). Transfer by coach to Chalon-sur-Saone. Boarding is around 6.30pm followed by presentation of the crew and welcome cocktail. First dinner on board. The boat will leave Chalon-sur-Saone to move to Macon. Free time to take a walk in the old town of Mâcon. Optional excursion common for both packages: coach tour of the Beaujolais vineyards. Return on board. Cruise to discover Lyon by night, with the illuminations in the old quarters of Lyon, a unique spectacle. Overnight stopover. CLASSIC: the morning will start with an excursion through Lyon. You will discover the second largest city in France admirably situated at the confluence of the Rhône and the Saône. DISCOVERY: Discover all of Lyon’s touristic highlights in only 2.5 hours and with little effort! Enjoy a leisurely bike ride around the lake in the Parc de la Tête d'Or and on the banks of the Rhône River. Don’t miss the tasting of local products and delicacies in the heart of Vieux Lyon! Return on board. Departure for Tain L’Hermitage where you will arrive in the evening. Overnight stopover. Morning spent cruising. Optional excursion common for both packages: discover the Pont d'Arc Cavern, a replica of Chauvet Cave (only on compulsory pre-reservation before the departure - with your agency). Arrival at the end of the evening. The boat will head for Avignon. CLASSIC: guided tour of Avignon and the “palais des Papes”, a veritable citadel perched on a rocky pinnacle, surrounded by imposing ramparts. DISCOVERY: you’ll leave by coach for the Pont du Gard, a true masterpiece of ancient architecture. We’ll hike along the aqueduct trail, a 2-mile walk through the site with numerous viewing points. At the end of our trek, we’ll visit the museum. Return on board and departure for Arles. Arrival during the afternoon, free time in the old town of Arles. Overnight stopover. CLASSIC: Excursion in the Camargue. We’ll visit a "manade" (horse breeding farm) and learn about how a manadier works with the animals. DISCOVERY: Safari in the Camargue. Far from the tourist traps, discover the Petite and Grande Camargue from the back of a jeep with local guides who will share their enthusiasm for this legendary area. You’ll cross the Parc Naturel Régional de Camargue. Return on board and gala evening. Overnight stopover. Disembark at Martigues. Return by bus to Lyon. Free time for lunch along the way. Arrival in Lyon earlier this afternoon. Today you’ll return to Paris for your trip back to Australia. Or take advantage of our optional 4-day package to the beautiful Italian lakes: Travel by train to Marseilles, stay one night then head to Milan, Italy for 3 nights. 4-day Italian lakes tour package: $999 per person. 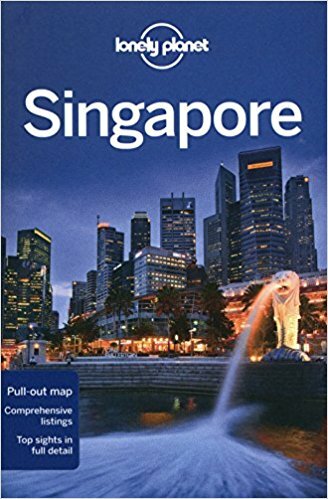 Consider stopping in Singapore for 1 night on the way back to Australia to break the trip. Price is from $299 total for two people according to preferred hotel standard, including round-trip, private airport transfers. Valued at over $1,400 per person, this excellent holiday extension will cap-off a truly memorable European adventure. 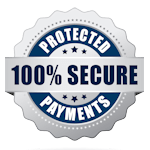 You pay just $999 per person ofter Getaway Cash travel credits. Have a free day in Milan then visit Lake Como to explore the enchanting village of Bellagio and enjoy a relaxing boat ride on the lake. Next day visit the fashionable town of Stresa and the beautiful islands on Lake Maggiore. Take a boat cruise around the Borromean Islands, stopping at Isola dei Pescatori for shopping and sightseeing. Afterwards you'll head to Isola Bella to see the opulently decorated Borromean Palace. Returns to Milan each day.